Matt makes me laugh. When I went to CA last fall for the Wine Blogger Conference, I first spent a couple of days up in Calaveras County checking out some of the local wineries. I’m going to do the same thing this year, as I only made it to 7 of the 20-some odd tasting rooms in downtown Murphys last year! We agreed I could buy some wine, but we set a limit (hahahahahaha) of a case. Well, I think I bought 3 cases in Murphys and I picked up 2 more in Sonoma, plus a few bottles I shoved in my checked luggage…ok, ok, I have a problem. 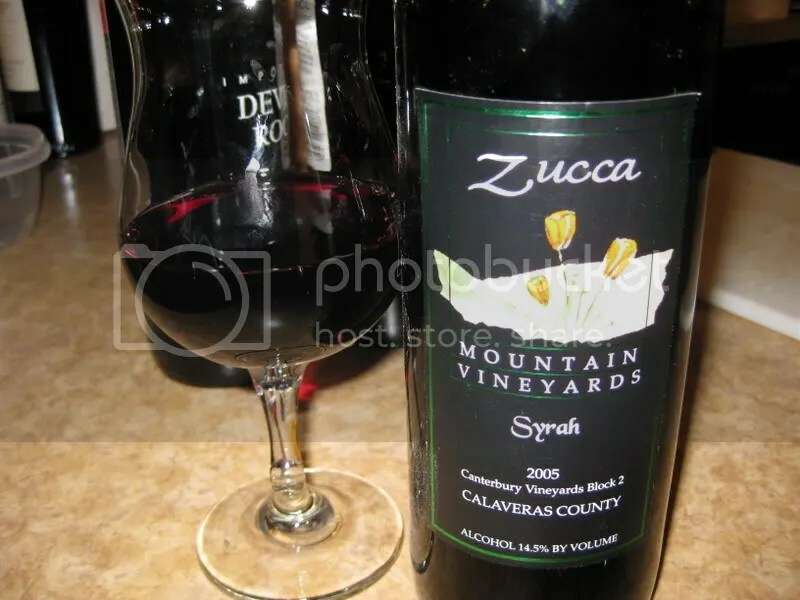 Anyway, I pulled out the 2005 Zucca Mountain Syrah the other night. Matt grabbed a glass and said “Where’d we get this, it’s REALLY good.” And then he sounded so bewildered when I told him I picked it out on my trip. 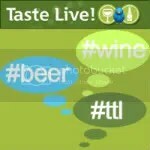 As if he doubted my ability to pick out good wines!! Silly man. The wine had a real cork closure, clocked in at 14.5% alcohol by volume, and I want to say I paid about $18….but I can’t find the receipt at the moment. On the nose I found berries, plums, cherries, earth, spice, chocolate, vanilla cream, and orange rind. Overall, I’d describe the nose as wonderfully smoky. In the mouth, I found sweeter fruit, berries, cherries, spice, and pepper. The wine seemed meaty, showed some tannins on the back palate, and displayed lots of very dark fruit. We drank this with my favorite winter soup, Zuppa Toscana, and the wine seemed to do ok with the soup, but it really shined just being sipped as we sat around chatting. 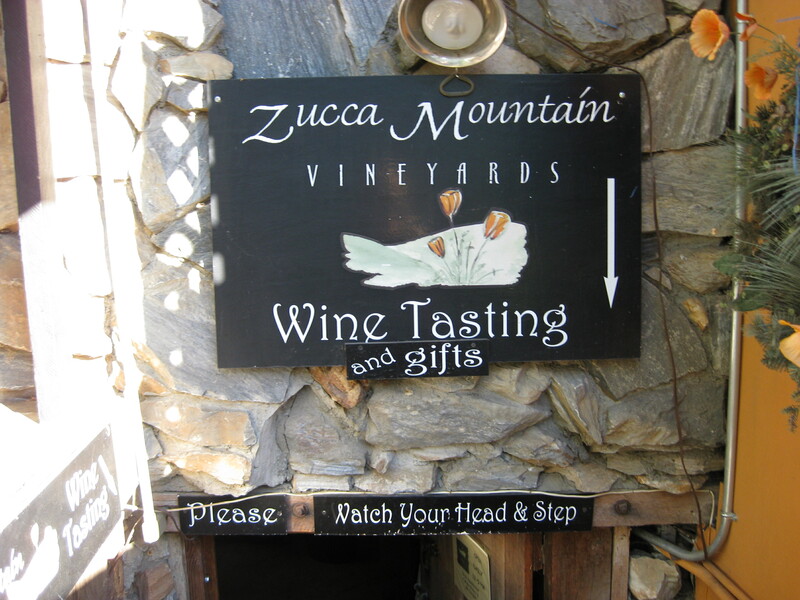 Not exactly a combination I’d think of, but when I walked back to the Zucca Mountain tasting room, the tasting room attendant happened to be sitting outside packaging California Poppy Seeds. He kindly gave me a package to take home and suggested I plant them in containers if I’m trying to grow them in VA….our climate is a touch different than Northern CA! 2006 Chardonnay: $16. Pear, peach, light, honey, apricot, crisp. 2006 Sangiovese Rosato: $15. Crab apples, berries, crisp, red berries, lime, very dry. 2005 Sangiovese: $34. Bright cherries, strawberries, red fruit, sweet note, tannic, nice structure. 2006 Barbera: $32. Smoky, plums, stewed fruit, raspberries, red fruit, chocolate on the back palate, totally different wine, really nice. My favorite of the tasting, I took home one bottle. 2005 Syrah: $28. Meaty, vanilla, smoky spices, vanilla, chocolate, dark fruit, long finish. I took home one bottle. 2005 Sorprendere: $25. Zinfandel, Syrah, Barbera blend. Blackberries, cracked pepper, plums, vanilla, chocolate, espresso, smooth, very drinkable. 2007 Syrah Port: $26. 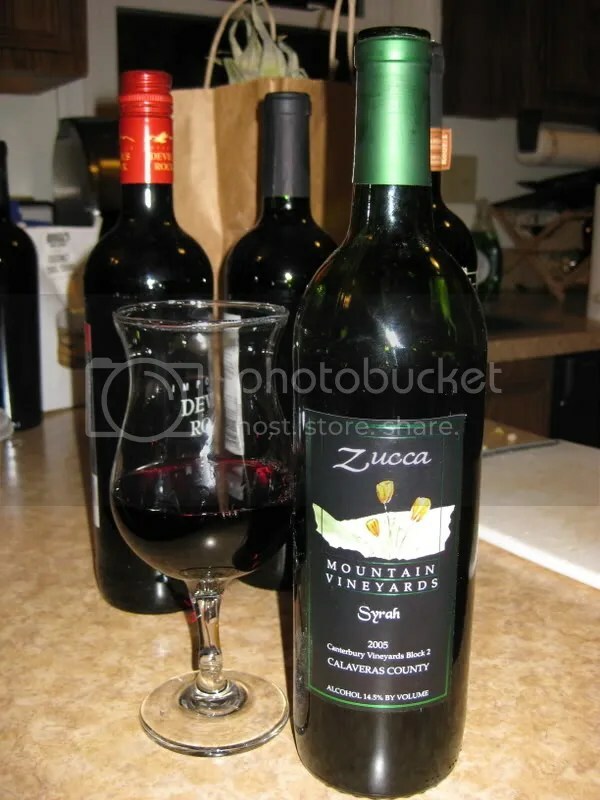 Really fruity, berries jump out, huge nose, flowers, chocolate, dark berries, great with chocolate. My dad is a huge Port fan and I always pick one up for him, so I bought one of these to give him next time I see him! I’d never had a Syrah Port before. 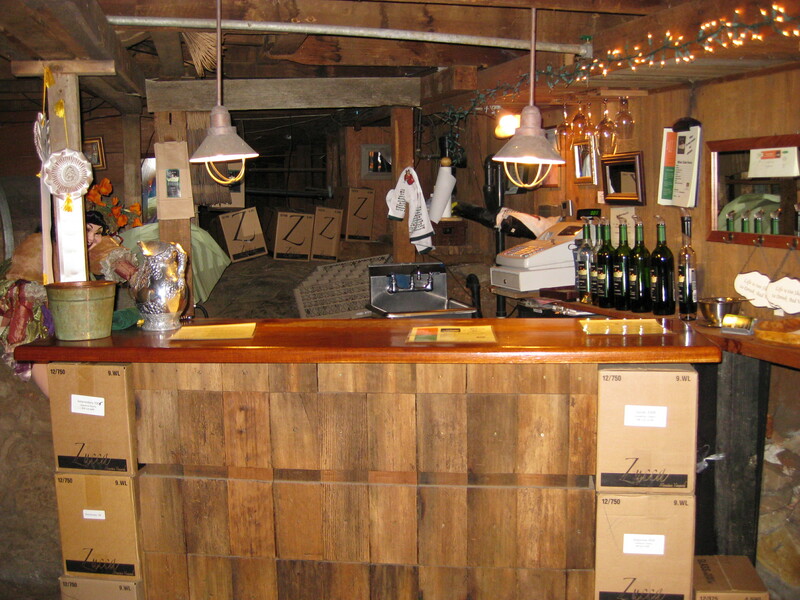 Overall, a great selection of wines. The reds were fantastic and I wanted to take all of them home. 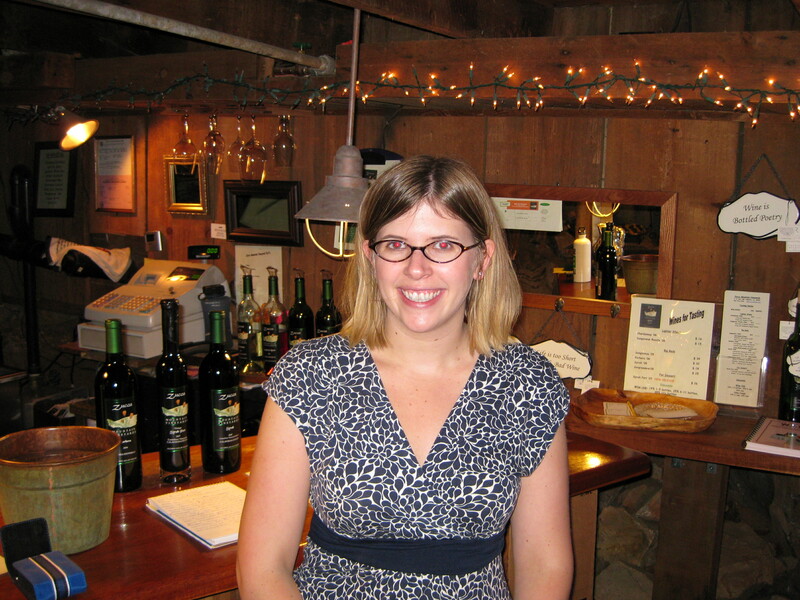 The tasting room attendant was excellent too, very knowledgeable about wines of all kinds. He worked in the area as the wine buyer for Safeway for 30 years. And surprisingly enough to those of us not in CA….you can actually buy pretty good wine at the Safeways in Northern CA!